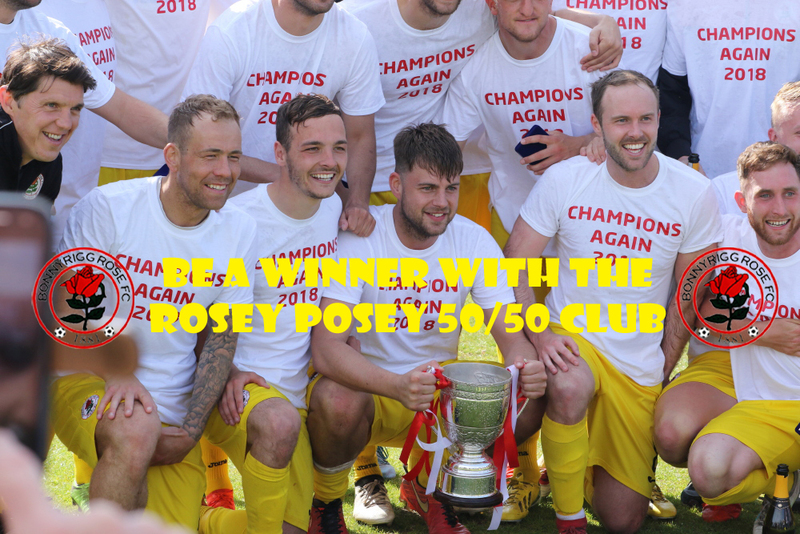 You can help the club and in the process be in the chance of winning a cash prize by joining the Rosey Posey 50/50 Club. The minimum stake is £5 per month for one entry and in multiples of £5 if you wish to have more than 1 number in the draw. We give out half of what we take in as prizemoney so the more numbers in the draw, the bigger the monthly cash prize. The easiest way to sign up is by either downloading an application form here and hand it into your bank or join online through our 100% secure online payments section here. To use the online payments system to need to register for the website, which is free. Alternatively see any of the committee on match day and alternative arrangements can be made. They will point you in the direction of committee member Marie Arthur who runs the 50/50 club draw. You will then be allocated a number to be used in every monthly draw until such time as you decide to stop. Draws are usually made towards the end of the month at half time on match days if fixtures allow.